Intervals is the musical project of Canadian guitarist and composer Aaron Marshall, and as the ‘plural’ band name might suggest, he falls into the category of progressive metal, having toured with The Contortionist, Between the Buried and Me, Periphery and Animals As Leaders amongst others. After releasing an acclaimed EP in 2012, Intervals experimented with a vocalist for 2014 album A Voice Within – the acclaimed Mike Semesky (Raunchy, ex-The HAARP Machine) – but Marshall’s heart seems to lie with instrumental metal. 2015 album The Shape of Colour marked a significant departure for Intervals; not only did Marshall drop Semesky but he also returned to 6-string guitars and tuned up, losing the heavy chugging riffs in favour of a more feel-good, jazz-inspired sound. He hinted at the time that in future he might return to a more aggressive style1, but with new album The Way Forward he has in fact gone in the opposite direction. I did raise my eyebrows on first listen to this album. What is this, lounge metal? It does not djent! Opening track ‘Touch and Go’ launches into a jazzy cheerfulness peppered with synths, and I was hearing computer games, TV themes, and the Nineties. However when I did some background on Marshall’s motivation for the album, I realised that this was entirely the effect he intended to create2. Furthermore, this album was worth sticking with – it’s a grower. 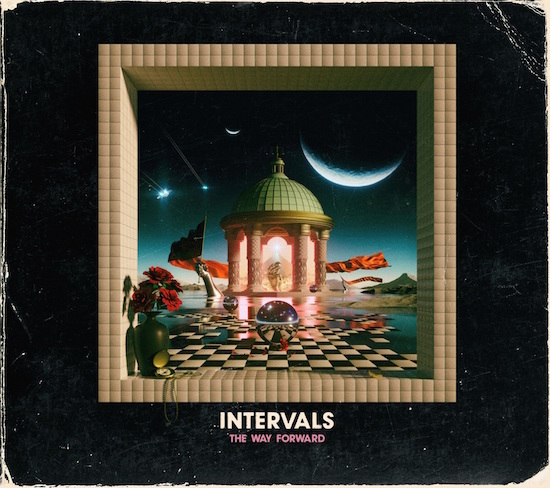 Despite the album’s title, The Way Forward harks back to the sounds of Aaron Marshall’s childhood, and this is achieved partly through the significant keyboard and sound design contribution of Norway’s Owane. The addition of such prominent keyboards is probably the biggest development for Intervals on this album, although the synths don’t overwhelm. Eighties and Nineties references are throughout; in ‘Rubicon Artist’, Marshall makes the guitar sound like a chiptune computer game, and the opening to ‘Belvedere’ could almost be a pop record. I always prefer to listen ‘cold’ to an album first time around, to prevent anything colouring my opinion, but understanding the motivation and influences behind The Way Forward did make me hear it in a different way the second time. In fact it was satisfying to discover that the sonic reminiscences evoked in me were exactly what was intended. Impressive guitar playing is a given with Intervals, and Marshall carries the melodic guitar line so that for the most part you don’t really miss having a vocalist; the sound is rich and full enough. The melodies are as busy as ever, but in this album he has focused more on creating moments of beauty than on technical fireworks, and for the most part he succeeds. A risk with instrumental metal is that it becomes boring, but progressive instrumental metal usually keeps the listener occupied due to the speed and rhythmic complexity, and this is certainly true of Intervals. The tracks are fairly short and snappy, all around the four minute mark, and the preponderance of seventh chords that rarely resolve mean that there are few let-ups in the musical tension. The second half of the album ups the heaviness, middle track ‘Belvedere’ marking a watershed after which ‘Rubicon Artist’, ‘The Waterfront’ and ‘Leave No Stone’ offer the chugging riffs and lower registers that are reminiscent of Marshall’s earlier material. Without this heavier aspect the album would have been too light for me; the latter tracks provide the balance. 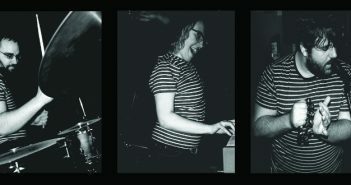 However even in the heavier songs, you feel as if Marshall is smiling while he is playing. Intervals has definitely taken a risk with this album, and it may alienate some fans who prefer his heavier, earlier work; indeed, some would barely call it metal. But in that sense, it’s an interesting example of how metal lies, not so much on a spectrum, but within a series of revolving prisms of musical genres. It’s also an example of how instrumental metal allows us to step away from the vocals and notice some of the nuances and hidden complexities of the other instruments in the line-up. The Way Forward is perhaps a metalhead’s guilty pleasure. Allow yourself to be cheered up, to indulge in the fun chord changes and evoke some of your own childhood sonic influences.